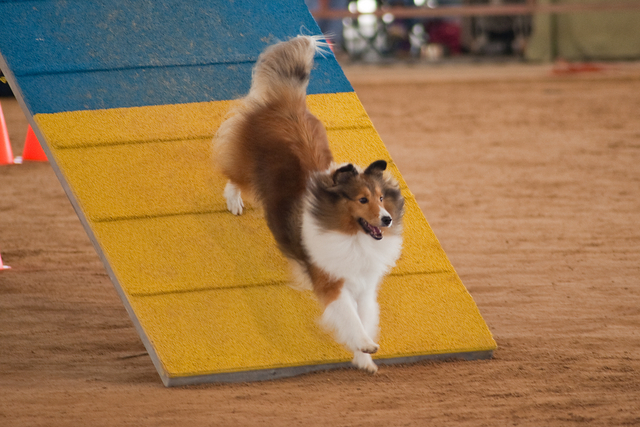 View an agility run of "Mandy"
"Mandy" proved herself in the agility ring, the conformation ring, and the herding arena. 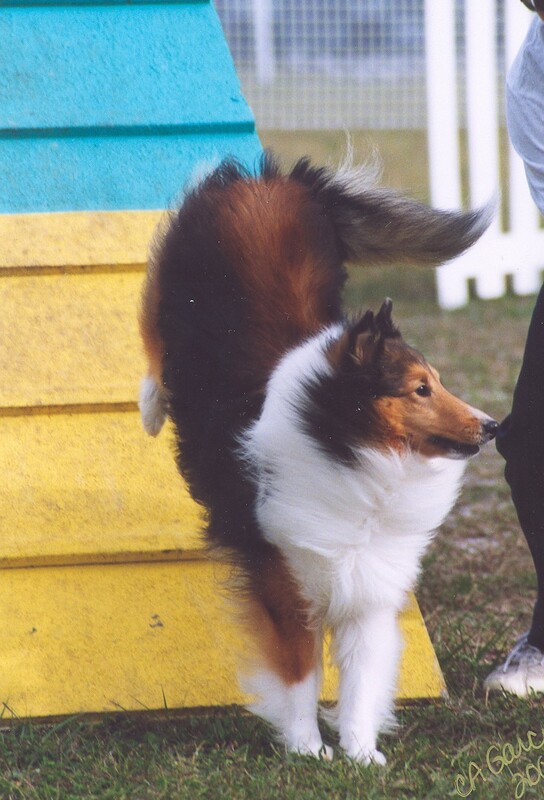 "Mandy" was exclusively trained and handled to her agility and conformation championships and to her herding title by my daughter, Holly Potts, of Fort Lauderdale, Florida. 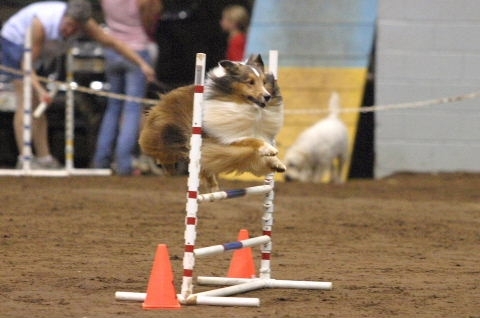 "Mandy's" dual championships in both conformation and agility is quite an accomplishment. Photographs by Pet Action Shots and Pix 'n Pages. "Lacey" is owned by my daughter, Holly Potts, of Fort Lauderdale, Florida. "Danny" has certainly lived up to his registered name! 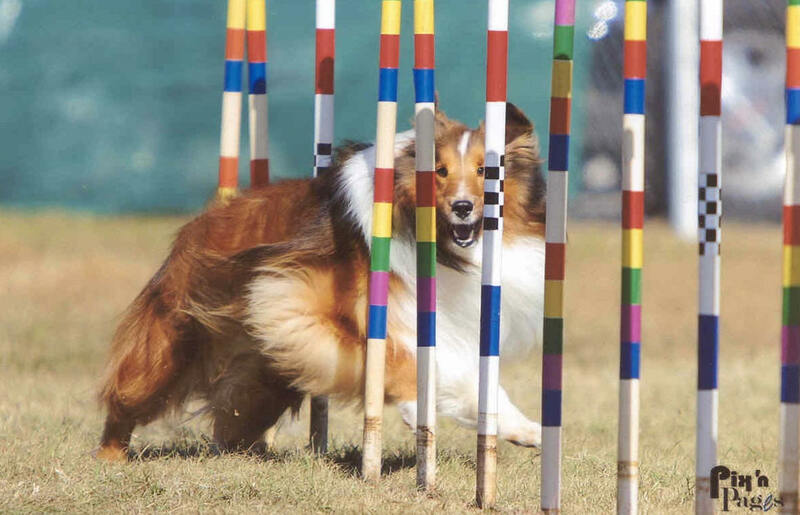 Because of his great speed and drive on the agility course, "Danny" has been referred to as "the border collie in the sheltie coat." "Danny" is also certified by the Delta Society to provide pet-assisted therapy and is a reading education assistance dog which is a program of the Intermountain Therapy Animals. 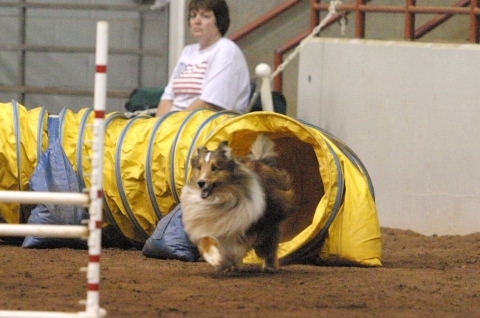 "Danny" is owned and trained by Lucinda Hietbrink of Jacksonville, Florida. Photographs by Pix 'n Pages and Pet Action Shots. 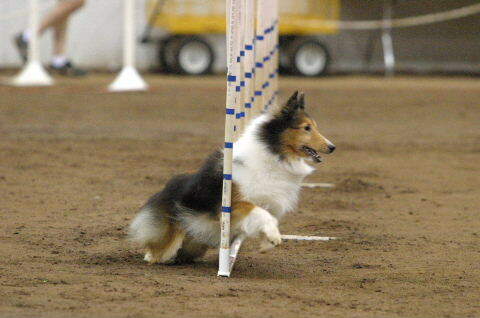 In addition to "Riley's" AX and AXJ agility titles, he also holds a RN title in rally and a CDX in obedience. 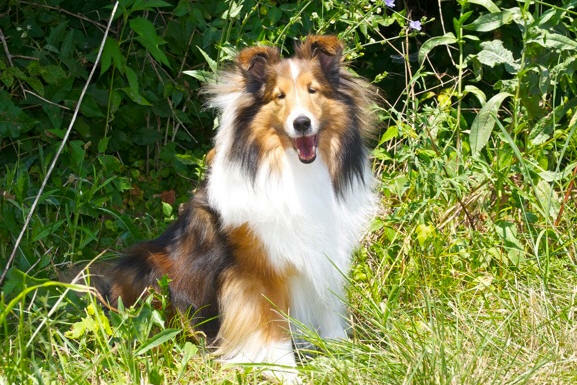 "Riley" is owned and trained by Allison White of St. Louis, Missouri. Photograph by Pup Art. 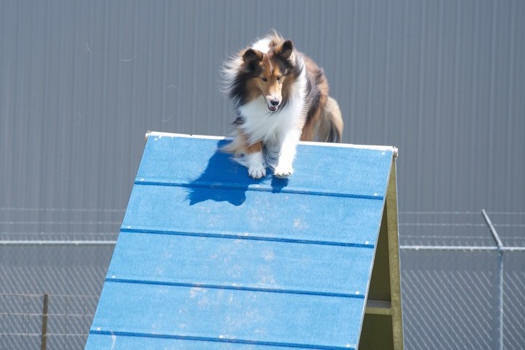 "Dixie" enjoys agility and obedience. 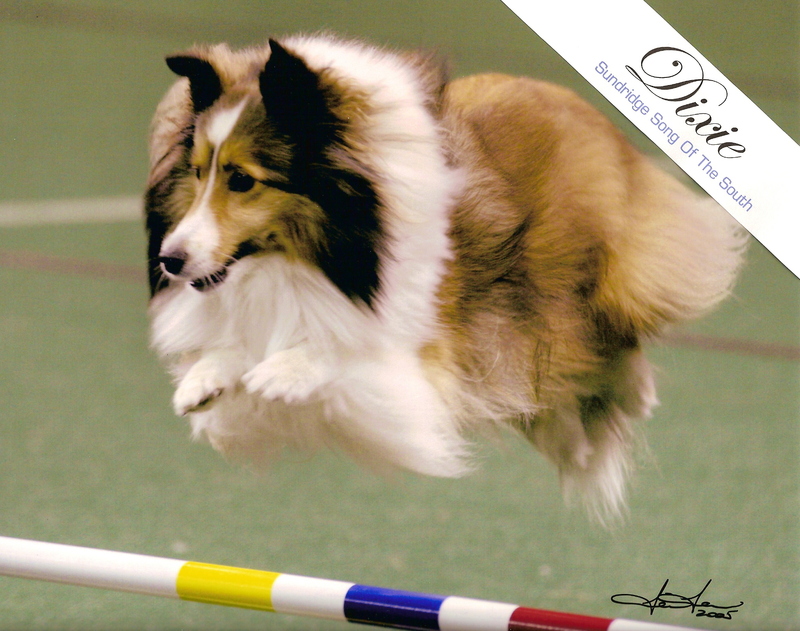 "Dixie" is owned and trained by Cindy Onder, St. Charles, Missouri. Photograph by Tien Tran. 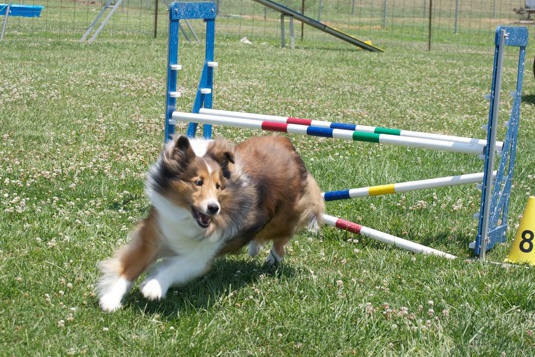 "Chance" is a dog of many talents who enjoys herding, obedience, and agility. 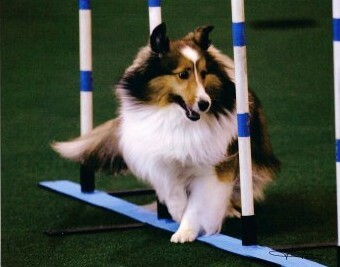 "Chance" is owned and trained by Carolyn Blasingame, Collinsville, Illinois.